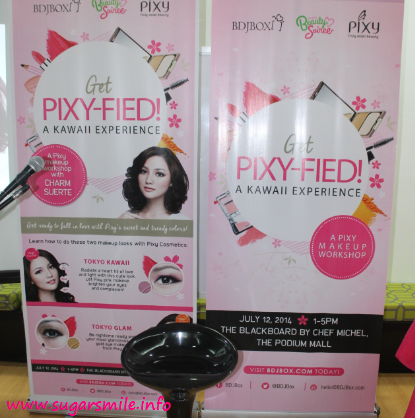 Pixy is a Japanese-Indonesian make-up brand. They emphasize Tokyo beauty because its all about being feminine and sweet looking, while highlighting the best Asian women's features. 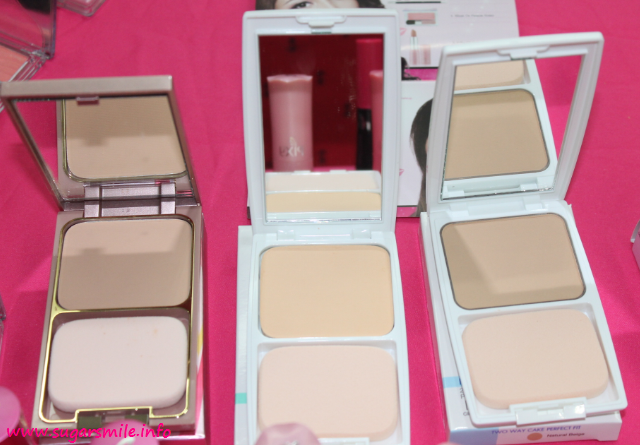 They mostly highlight the skin, making it more flawless and smooth, adding up the dramatic eyes, softly blushing cheek and enchanting lips. When I hear about Japan, I always remember Zhang Ziyi in Memoirs of a Geisha, but not without the heavy makeup. Remember how flawless she looks in some of her scenes? 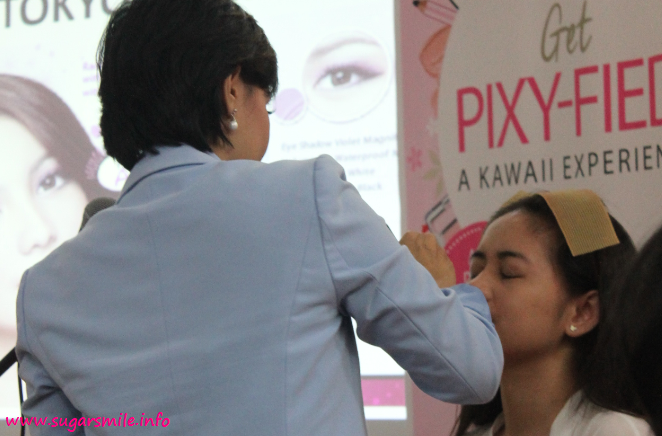 Pixy can make you look as beautiful as her because it accentuates your face and making you look fresh. 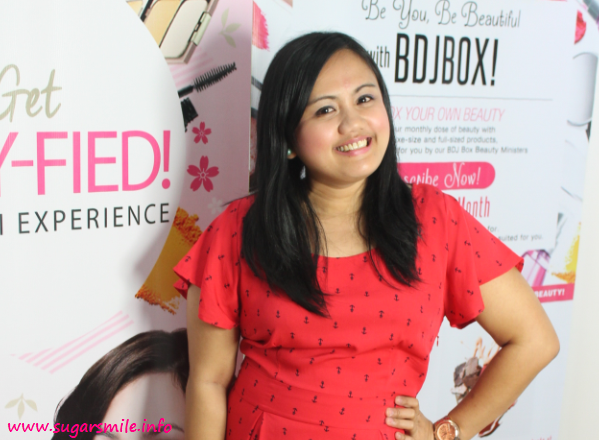 Our make-up artist for the workshop is Ms. Charm Suerte. She gave life to two different Pixy looks: The Tokyo Kawaii and the Tokyo Glam. Ms. 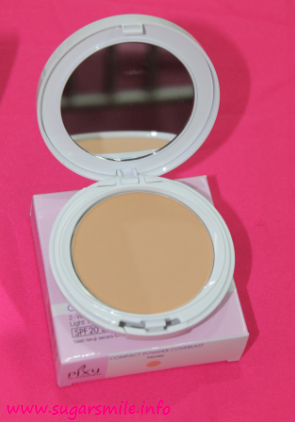 Charm also gave us a lot of make-up application tips like finding a lighter shade if you are acidic, put an orange lipstick or blush on your concealer to hide the eyebags and use a green shade to conceal the pimples. After finishing the Tokyo Kawaii look on Iana, we also worked on to copy her look on ourselves. 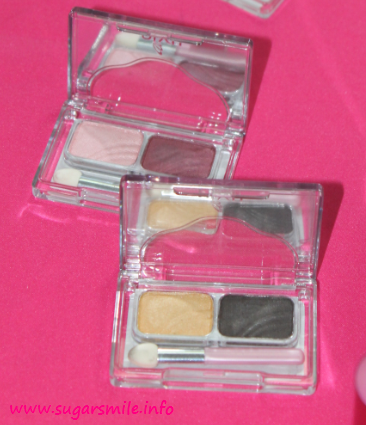 Since I always use pink and purple for make-up, this one is kind of familiar to me. My only problem would be on the eyebrows because I cannot, for the life of me, get how they do it. I think I should consult to an eyebrow expert, shouldn't I? 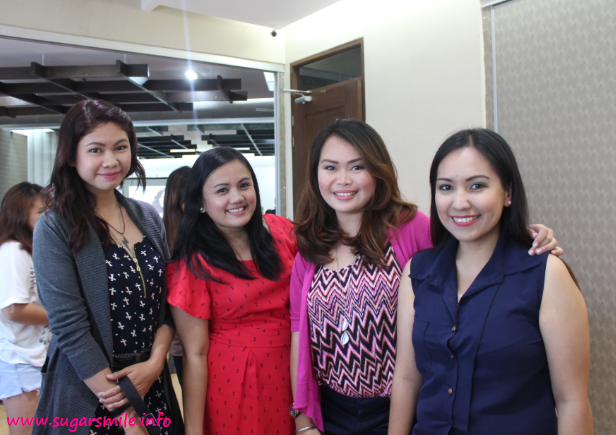 It was a pretty-fied afternoon indeed, as I met new bellas and friends I haven't seen in a while. 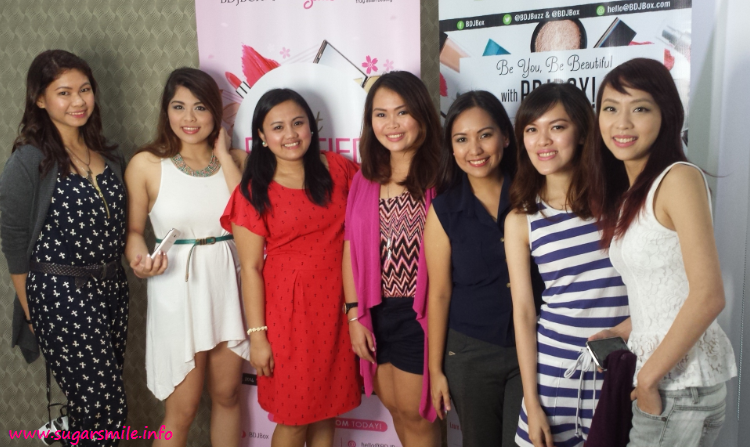 Pixy and BDJ Box made it possible for ladies like us to bond and pamper ourselves with colors and Tokyo beauty. 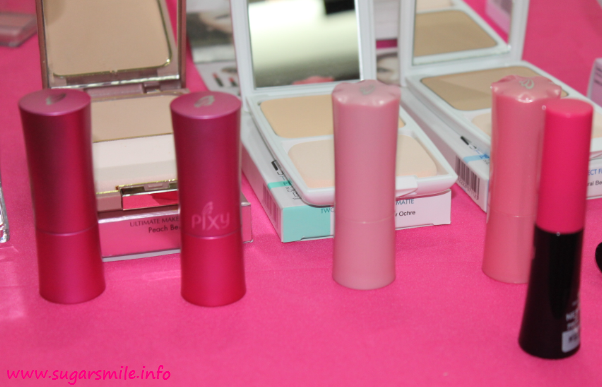 And now that I discovered Pixy (and how affordable their products are), I'm sure I'd stock up some from now on. 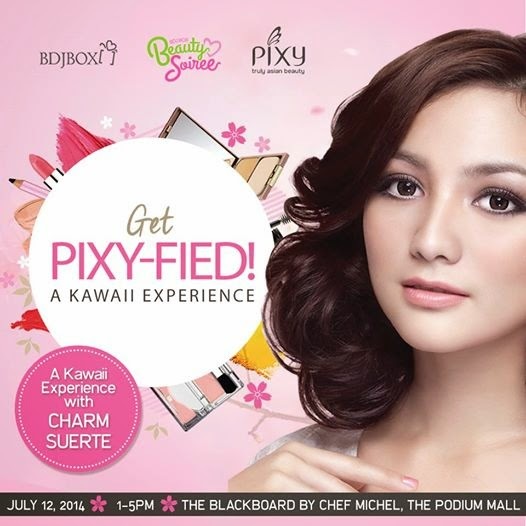 Pixy is currently available at SM Aura, Festival Mall, SM Sucat, SM Mall of Asia and SM Bacoor. 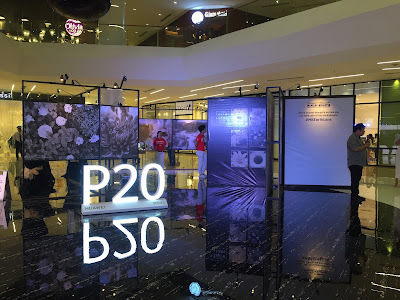 Watch out for the other locations soon. Look who just got Pixy-fied!